State lawmakers invest in grant program for outdoor education. 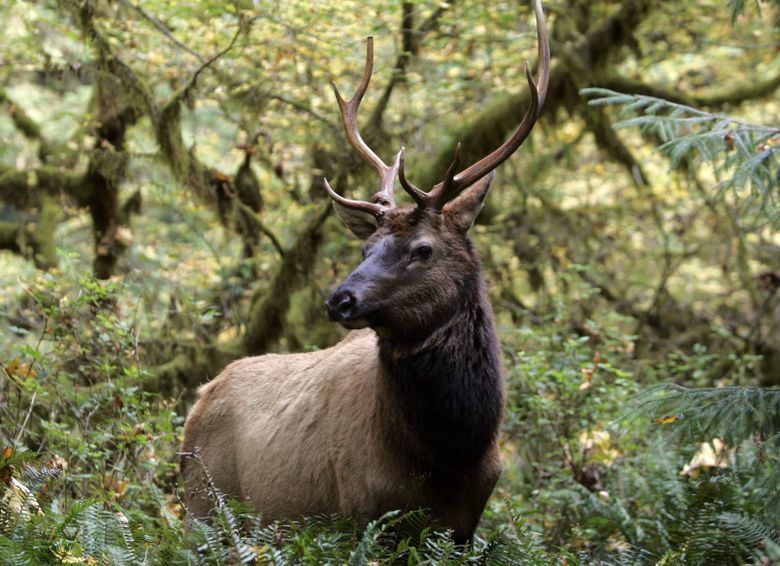 FROM the snow-capped peak of Mount Rainier to the roaring waters of the Spokane River to the lush canopies of the Hoh Rain Forest, we Washingtonians have incredible outdoor experiences right at our doorsteps. This beautiful natural setting brings us many economic and educational benefits. It’s also the underpinning of a unique opportunity to support Washington’s kids and economy that has brought Democrats and Republicans together in Olympia. Both sides of the aisle in the state Legislature recently supported a measure known as “No Child Left Inside,” ESSB 5843, that will help get our kids off couches and into the great outdoors. Now we’re hopeful the governor will soon sign it and that the $1.3 million investment it proposes will be supported in the state’s new operating budget. Ben Klasky is president and CEO of IslandWood, an outdoor learning center on Bainbridge Island. Joshua Brandon is an Army veteran and program manager at Project Rebirth, facilitating research-based therapeutic adventure to improve veterans’ mental-health care. No Child Left Inside would revitalize a grant program for outdoor education for kids — with emphasis on serving children who qualify for free or reduced-price lunches and those at risk of not graduating high school. It would also prioritize funding for programs that serve military families or involve veterans in their operations. As funding allows, it would allow the governor to hire a senior policy adviser to serve as a state outdoor-recreation leader — a job that would include promoting, increasing participation in and increasing opportunities for outdoor recreation. The idea of elevating outdoor recreation to the level of education, health care and other major policy areas within the governor’s office came from the bipartisan Governor’s Blue Ribbon Task Force on Parks and Outdoor Recreation, which we both served on. The Outdoor Industry Association estimates that outdoor recreation supports some 200,000 jobs in Washington. The many recreation opportunities in our state, from water sports to hiking trails, contribute more than $22 billion to the state’s economy annually, according to the association. We need a leader to work across state agencies to support the growth of this important industry. We are all too aware that today’s children are spending less time outdoors than those of previous generations. While rates of childhood obesity, type 2 diabetes and attention-deficit disorders continue to climb, increased outdoor time is linked to better overall mental and physical health. There’s no doubt that time spent outdoors is part of a healthier lifestyle. Research also shows that kids who spend time outdoors see increases in their test scores, especially in science. No Child Left Inside promotes our education goals and our environment. While there are partisan challenges in Olympia these days, this bill won big bipartisan support from the Legislature. We also know that Gov. Jay Inslee sees important opportunities here. In a challenging budget season, this relatively small investment will yield significant dividends. ” - In a challenging budget season, this relatively small investment will yield significant dividends. Grants from No Child Left Inside could benefit any number of organizations: outdoor-leadership programs for young girls, a new science-focused school in Darrington, programs that immerse families in outdoor learning. Washington is a leader among states. Indeed, No Child Left Inside has inspired federal legislation of the same name precisely because governments at all levels understand that investing in outdoor opportunities for kids — opportunities that make them smarter, more active and well-rounded — benefits us all. Inslee and our state legislators have seen the value of No Child Left Inside. Now we need their continued commitment to help bring this smart bill across the finish line by signing it and funding it. We can’t let this legislative session pass without supporting student learning and Washington’s multibillion-dollar outdoor economy.